A Japanese spacecraft successfully touched down on a distant space rock Thursday. The refrigerator-sized Hayabusa 2 craft settled on asteroid Ryugu a few minutes before 6 p.m. ET (about 8 a.m. local time in Japan on Feb. 22), the Japan Aerospace Exploration Agency (JAXA) said. After touchdown, JAXA officials confirmed that the probe fired a bullet into the asteroid to capture a bit of debris that eventually will be returned to Earth — although it's unclear yet whether the debris has been collected. 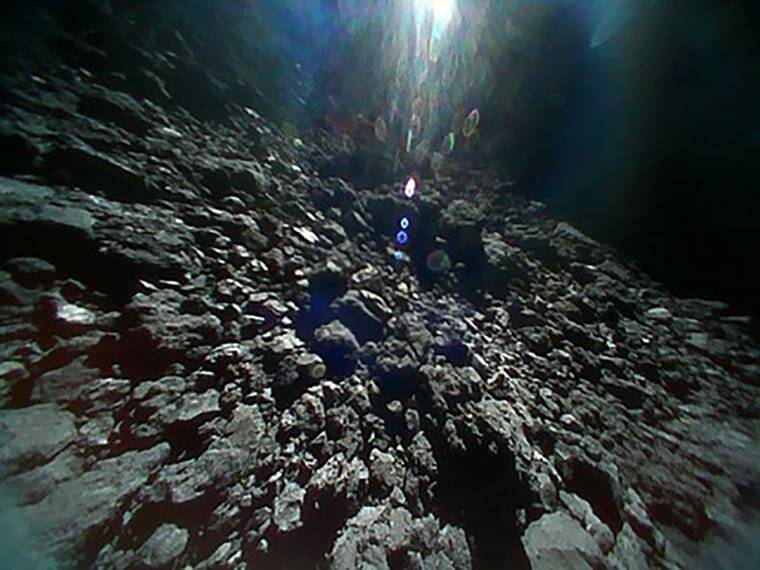 Launched by JAXA in 2014, Hayabusa 2 reached Ryugu in June 2018, after a voyage of 2 billion miles. In the months since then, the craft dropped a pair of small rovers on the space rock to explore its surface. The landing was originally planned for last October, but JAXA postponed it after instruments aboard the rovers found that the asteroid’s surface isn’t covered with dusty soil (regolith) but is instead strewn with rocks — something scientists had not anticipated. Shortly after touchdown, JAXA confirmed that the Hayabusa 2 spacecraft fired the bullet. Project managers will now monitor data from the space probe to see if it successfully deployed a container to collect samples of the material kicked up from the surface by the impact. JAXA tested this process on Earth, firing a bullet into gravel held within a chamber designed to mimic the vacuum of space. Researchers determined that the resulting rocky debris would be small enough to be collected and brought back to Earth for analysis. But that will take awhile: The samples aren't scheduled to arrive here until late 2020.